The leader in proactive threat protection, Avira AntiVir has release new version 9. 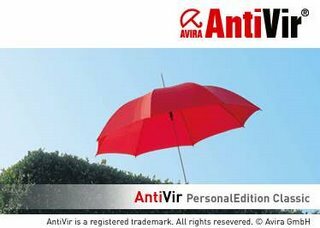 Avira AntiVir latest version 9 comes with built in spyware protection system and includes enhanced scan engine, parental control and support for netbooks. Unlike certain antivirus software, Avira will not require high system resources. It can protect against viruses and spyware in real time and yet it will not slow down PC performance. It also have central configuration with user-friendly standard, advanced options and context-sensitive help. There are four categories of product under Avira AntiVir version 9: Avira AntiVir Premium, Avira Premium Security Suite, Avira AntiVir Professional, and Avira AntiVir Windows Server. Avira will support version 8 of the affected products until 31 March 2010, so that users need not to migrate immediately to version 9. Users can decide when to conversion to version 9 within period of these 12 months.